Islam « Dr Deborah Swallow – Global Cultural Diversity..
and is considered especially holy for several reasons. Koran, the holy book, was first revealed to prophet Muhammed during the last ten days of this month. According to the Koran, the gates of heaven are open, the gates of hell are closed, and the devils are chained up in hell during Ramadan. Since the devils are locked away, it’s easier to do good in this month, thus, dedicated Muslims are expected to donate to a charity or offer their time to help the poor, for example. Every year, the UK holds campaigns to promote safe ways of donating to charities in order to avoid scams and fake charities during Ramadan. 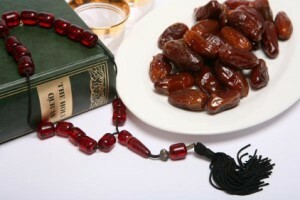 Most people know Ramadan best for the tradition of fasting. Fasting during Ramadan is one of the Five Pillars, or fundamental duties, of Islam. It is common to fast during the daylight hours, although there is sometimes confusion around the beginning and the end of each daily fast. For this year’s Ramadan, you can find an accurate time table for each UK city, here. 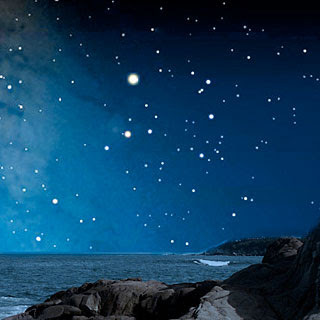 Laylat al-Qadr is also known as the Night of Power or the Night of Destiny. There is some controversy over the exact date for Laylat al-Qadr but the night is usually celebrated on the 27th of Ramadan. The last ten days of Ramadan are most important and it is likely that the true night for Lailat al-Qadr falls on any of the odd nights. During the last ten days charity work is likely to increase among Muslims. People want to make sure they have given enough during the holy month. Today’s date marks the martyrdom of Guru Arjan Dev, the founder of the Sikh faith. Although many of us encounter Sikhism daily in the multicultural United Kingdom street scene, only a few know how Sikhism came to be. Today’s date is the perfect day to learn about it. Guru Arjan Dev was born in 1953. He believed that the meaning of life, and religion, was simply to live in this world and cope with everyday problems. One of his most famous quotes is “My faith is for the people of all castes and all creeds from whichever direction they come and to whichever direction they bow.” He announced this after creating the Sikhs their first central place of worship. The place for worship became known as the Golden Temple, although it was controversial in many ways. Guru Arjan Dev believed that humility is a great virtue, thus, he built the temple very low rather than tall and close to the sky as was the custom. Whats more, he ordered the temple to have entrances on all four sides. This was because Muslims believe God’s house is in the West, whereas Hindu’s believe it is in the East, and Guru Arjan Dev wanted his faith to accommodate everyone. To help raise money for the Golden Temple Guru Arjan Dev declared that Sikhs must donate 1/10 of their earnings to charity. This is still an important part of the Sikh fate today. Egypt is a major Arab country whose stability and evolution remains pivotal to the future of the Middle East. It is also an important economic force with the second largest market in the region (after Saudi Arabia) and the base for some of the region’s most innovative companies (the most successful telecoms operator, construction conglomerate, investment bank, and private-equity firm). It’s no wonder, then, that Egypt has fallen under the media spotlight; no less than coverage in ten issues in The Economist in 2009 alone; apart from the American and Arab coverage it has received. However, many argue that the coverage so far has tended to be reductionist missing some of Egypt’s most significant and dynamic trends. One such important trend is seen as a pervasive Islamic force in the country. This description, used to describe the Muslim Brotherhood, more accurately defines the Salafist movements, according to Tarek Osman a writer on Egyptian affairs. It is he who argues that an appeal to Barack Obama to reinvigorate the United States’s democracy-promotion efforts in the Arab world is based on a flawed understanding both of political Islam and the real needs of the region’s people. And so it seems, the plethora of new media has put Egypt under the spotlight, but allows for too little close study and critical observation. Such hurried coverage risks failing to detect the real trends that are shaping tomorrow’s Egypt – and are not picking up “the differences and distinctions” that matter. As those who work in cross-cultural understanding and intercultural communication know – it’s the differences that make a difference. Footnote: Salafists, who regard early pious Muslims and their communities as exemplary models, command major followings on the Egyptian “street”. They are not politically active, and that is why they are tolerated (and sometimes encouraged) by the regime; that is also why they do not feature in news-bulletins or reports on the country. Their influence, however, is many times more than that of organised political Islam. Salafist thinking, which has been expanding and proliferating in Egypt for more than three decades, is based on a religious view of life; a strict and highly conservative social code; and inherently advances an Islamist foreign policy. The accumulating influence of this significant Salafist influence on Egyptian society could be to make many young Egyptians more anti-secular, anti-liberal, and anti-west. After three decades of domestic and foreign efforts to align the country with the United States and the west, including around $100 billion of American (and western) investment in and aid to Egypt, this outcome would be a colossal policy failure. The Salafi phenomenon receives far less attention than it deserves. Why do the French Speak Out about the Burqa? But why such “intolerance” on the part of the French? The separation of Church and State is jealously guarded in France, embodying that cherished French principle of secularism. Born out of the French Revolution it has long been a tenant of the French way of life. Voltaire, one of the leaders of eighteenth century progressive thought, argued that religion was divisive, primitive and intolerant. While the Republic believes you have the right to worship as you want in private, it believes that as a French citizen you owe your allegiance first to the French nation rather than to God. Five years ago,the wearing of ouvert signs of faith was banned in State institutions – being incompatible with French values. Last year, a Moroccan women was refused French citizenship inspite of speaking fluent French and having a French husband. Why? Because of her ‘radical practice’ of Islam. She insisted on wearing a burqua which is incompatible with French values. However, in his recent speech, Sarkozy was at pains to stress that Islam must be respected like all other faiths. Interestingly, an extensive survey of Muslims in Europe recently found that France is the country most at ease with its Muslim population. Whilst 81% of Muslims in the UK felt themselves to be Muslim first and British second, over 50% of French Muslims viewed themselves as French first and Muslim second. As I always emphasis – there’s no right or wrong – just difference. Cultural difference. C’est la vie!